Just a few months before my father passed away from complications of diabetes and kidney disease our cousin asked him if he could do anything differently, what would he change. Dad’s answer: I wouldn’t change a thing. 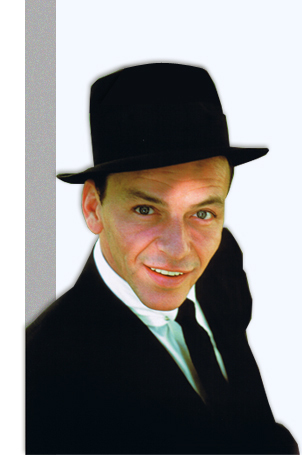 At his funeral Mass of Christian Burial I asked to have Frank Sinatra’s “My Way” sung. I would have done it myself but did not think I could have kept control of my emotions. He modeled this behavior for me and I try to live it every day. I have taken a few chances and once I decide one direction or another, I do not spend much time wondering what it would have been like to have chosen the other. I do not have enough time in my life to use it up worrying about what I did not do. If the desire to do something I “coulda woulda shoulda” is so burning that I keep thinking about it, then I’ll just do it. Or set the plan in motion. I have had a burning desire to write a book. In 2011 I am going to do just that. Why not begin 2011 without a “to do” list? Just turn a few “coulda woulda shoulda’s” into a plan and then go for it! Love this Jude! A great reminder that it’s about doing what you love, and if what you love or desire changes to go with that. Life is too short for regret. Thanks, Amy! Our attitude about change makes all of the difference. Thanks for taking the time to read my blog…you have no idea how honored I am! Great looking blog Jude! Thanks for the inspirational post! I agree that you have to spend time making a decision and then spend the rest of your time riding out that decision with positive energy. Life is all about what you choose to focus on and considering other possible roads does little good. Glad we connected on Twitter! Dino – I sincerely appreciate your feedback. Feel free to pass it along if you see fit – I am trying to increase my readers to folks whom I have never met! Happy New Year and thank you for taking the time to read it!